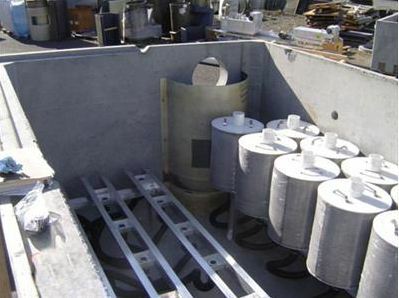 Media Filtration System is a stormwater treatment device comprised of one or more structures that house rechargeable, self-cleaning, media-filled cartridges that trap particulates and absorbs pollutants such as dissolved metals, hydrocarbons, nutrients, metals, and other common pollutants found in stormwater runoff. 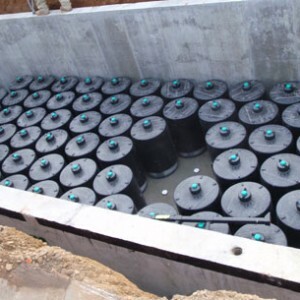 High surface area cartridges draw stormwater evenly through the filter media, providing efficient, effective stormwater treatment, while the self-cleaning hood prevents surface blinding, ensuring maximum media conotact, and prolongs cartridge life. 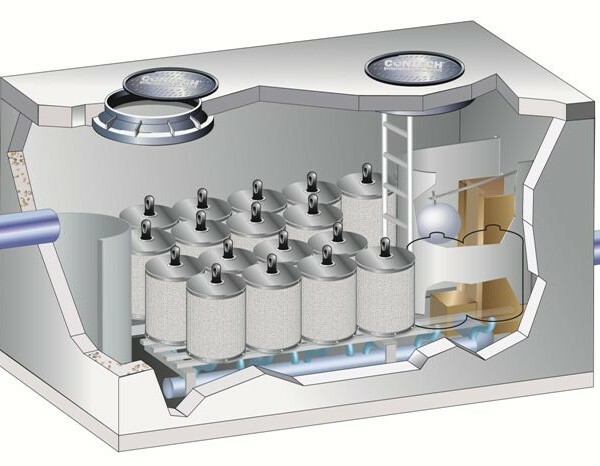 The structures that house the Media Filtration System cartridges can be configured in a variety of ways to accommodate a wide range of flows, project specific footprints, and variable hydraulic conditions. 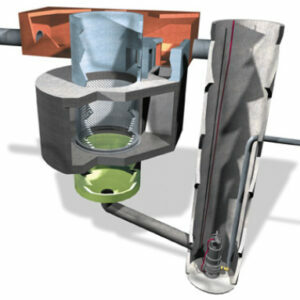 The filter media in the Media Filtration System cartridges can be customized to target site-specific pollutants. 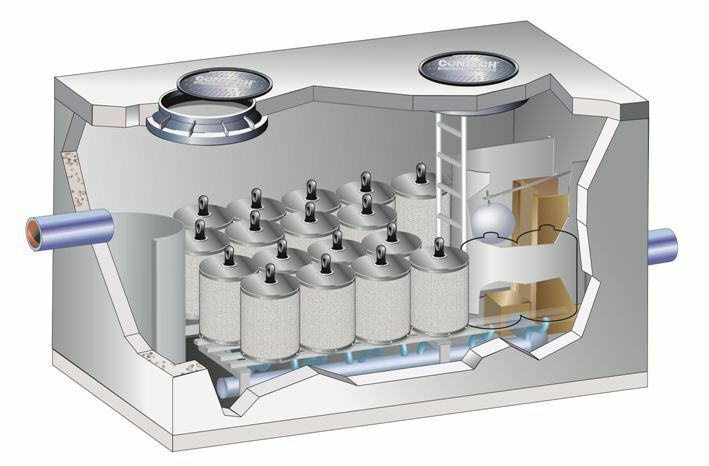 For example, in applications targeting phosphorus, PhosphoSorb®, a unique filter media designed specifically for applications targeting high levels of phosphorus removal. 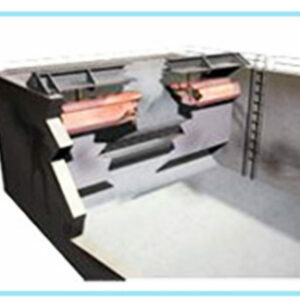 The Media Filtration System is available in multiple cartridge heights to meet site-specific hydraulic needs and is available in different upstream configurations including downspout, catch basin, curb inlet, linear grate, infiltration, and dry well. 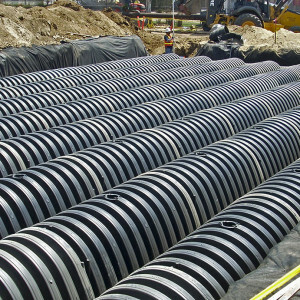 Media Filtration System has been extensively tested in the field and laboratory, and is performance verified by both the State of Washington Department of Ecology and New Jersey Department of Environmental Protection, as well as numerous other stormwater regulatory agencies. 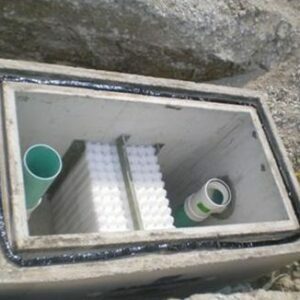 With over 120,000 worldwide installed cartridges, and twenty plus years of sustained performance, Media Filtration System is equipped to handle the most challenging stormwater scenarios. 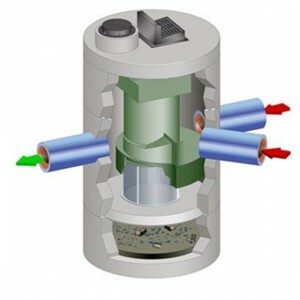 The MFS media filtration system utilizes variable flow controls, media-filled cartridges, and a storage sump to capture and retain a broad spectrum of pollutants to meet stringent regulatory requirements. 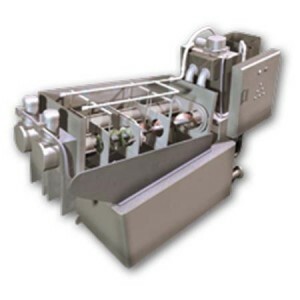 Variable flow controls insure the system matches the influent flow to lower the average treatment flow rate and maximize performance. 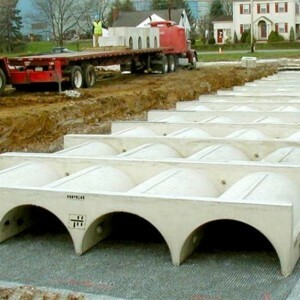 The large storage sump ensures system longevity on sites with heavy loading and eliminates the need for an upstream storage sump in roadway applications. 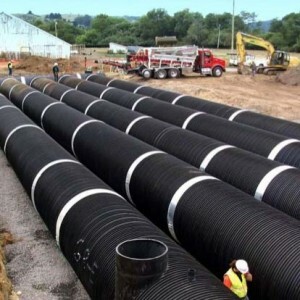 With scalable cartridges available in multiple heights, the system can be sized to meet specific flow rates and stay within the available hydraulic grade line on the project. 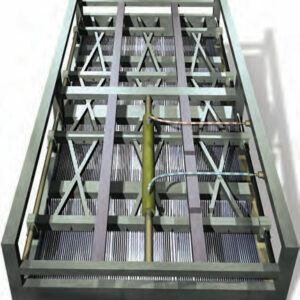 The MFS is best suited for sites with an offset inlet and outlet depth difference of as much as 2.3 feet. 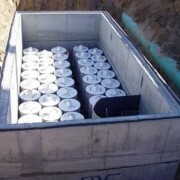 Additionally, its sedimentation bay provides a greater storage capacity. 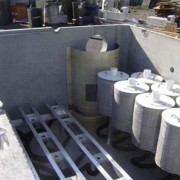 The MFS is available in vault, manhole, catch basin, curb inlet, high volume, and volume configurations. 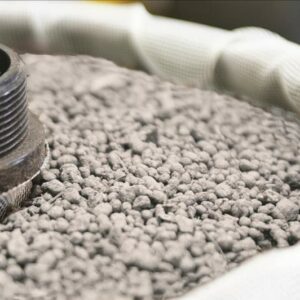 PhosphoSorb ® – A lightweight media built from a Perlite base that removes total phosphorus (TP) by adsorbing dissolved-P and filtering particulate-P simultaneously. 	Perlite – Expanded volcanic rock. 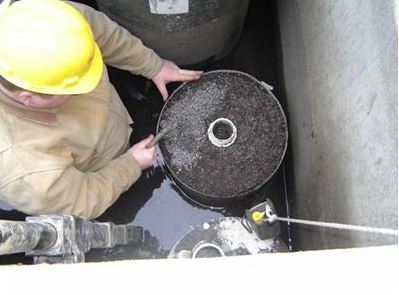 Its porous, multi-cellular structure and rough edges make it effective for removing TSS, oil, and grease. CSF® Leaf Media and Metal RX™ – A granular organic media created from deciduous leaves, CSF is most effective for removing soluble metals, TSS, oil, and neutralizing acid rain. 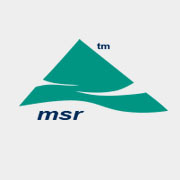 MetalRx, a finer gradation, is used for higher levels of metal removal. 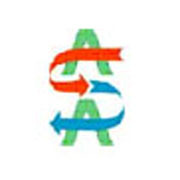 Zeolite – A naturally occurring mineral used in a variety of water filtration applications, is used to remove soluble metals, ammonium, and some organics. 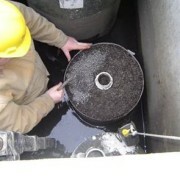 Granular Activated Carbon – A micro-porous structure with an extensive surface area to provide high levels of adsorption. 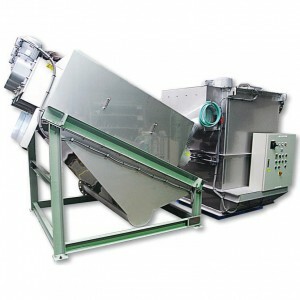 It is primarily used to remove oil and grease and organics such as herbicides and pesticides. 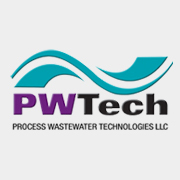 ZPG™ – A proprietary blend of zeolite, perlite, and GAC to improve the performance of perlite and target organics, soluble metals, and other pollutants. 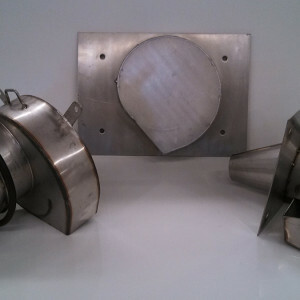 For sites with offset inlet and outlet depth difference of as much as 2.3 feet. 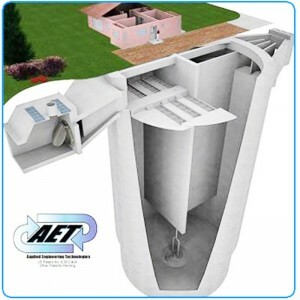 All Media Filtration System structures provide access for inspection, media replacement, and washing of the structure. 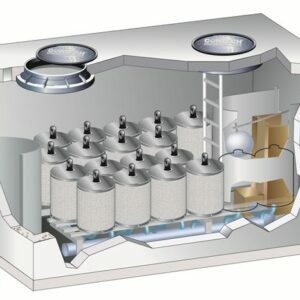 Media Filtration System has been designed for predictable maintenance intervals ranging from 1 to 3 years. 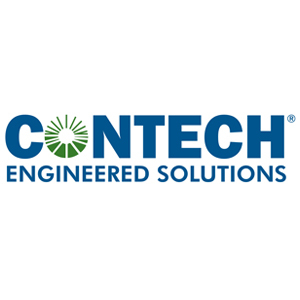 Cartridge Replacement Program provides refurbished cartridges that are shipped to your site ready to install. 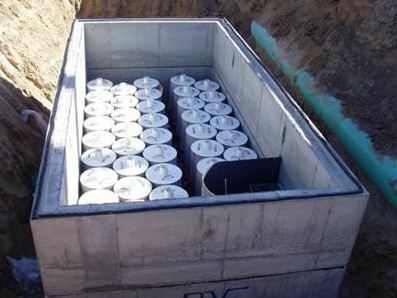 Vacuum extraction of captured pollutants in the vault is recommended at the same time.